You would be very much mistaken if you were expecting the crepes in this shop to be rolled up crepes with jam. 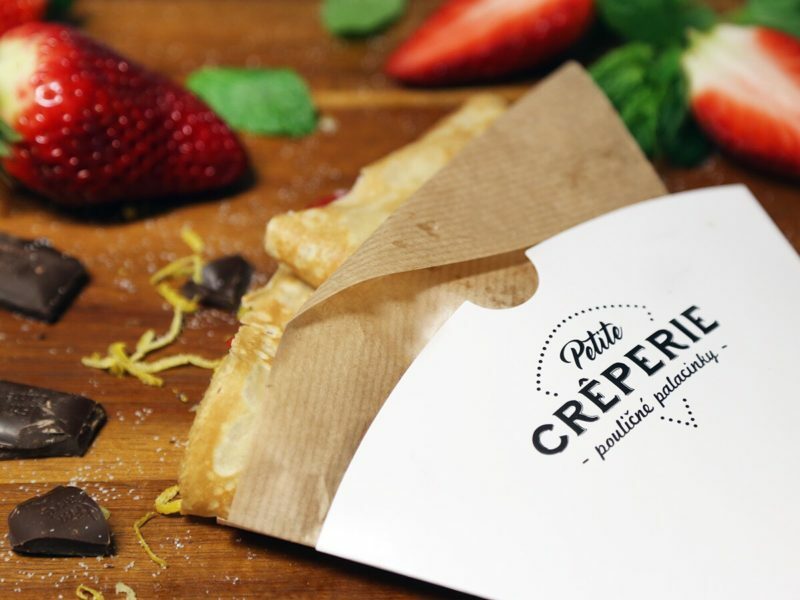 Petite Crêperie was started by Veronika, a student who was inspired while she was studying in Paris by the shops selling crepes at every corner. 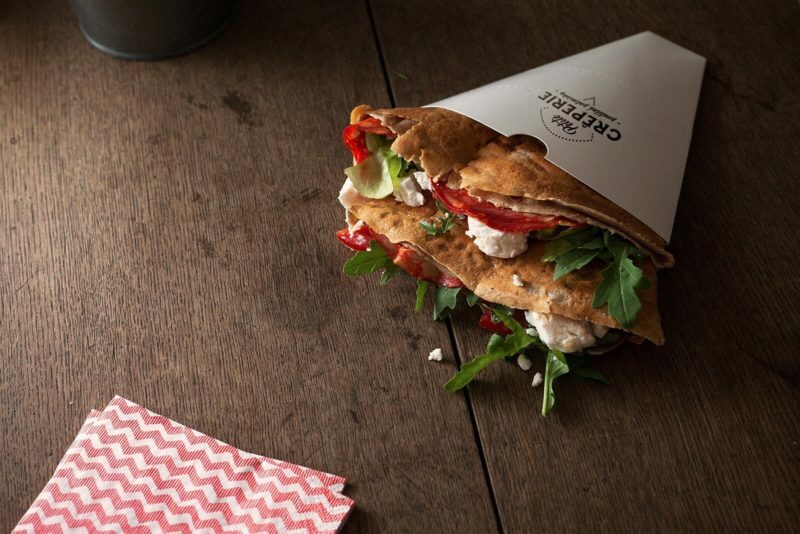 So when she returned home, she decided to open her own crepe shop as homemade thin pancakes are somewhat rare in the Slovak street food scene. The menu includes locally-made sweet Palatschinken and less traditional, salty buckwheat pancakes, which especially attracts people eager to taste something different. How these are served is also a bit unusual as they are cornet-shaped. The Petite Crêperie street stand sells crepes and thick pancakes on the side of the road, and is also connected to a small shop. 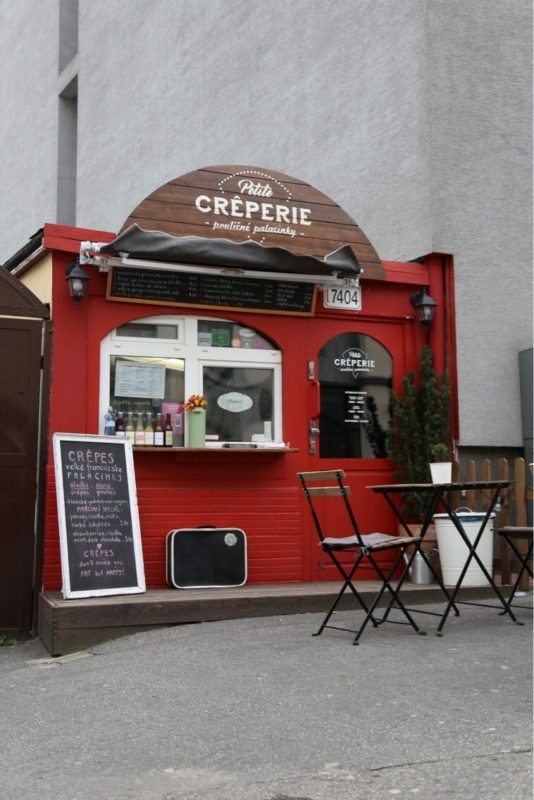 Come to Vysoká street to taste these excellent crepes. The place can’t be missed as its distinctive red colour makes it easy to find.